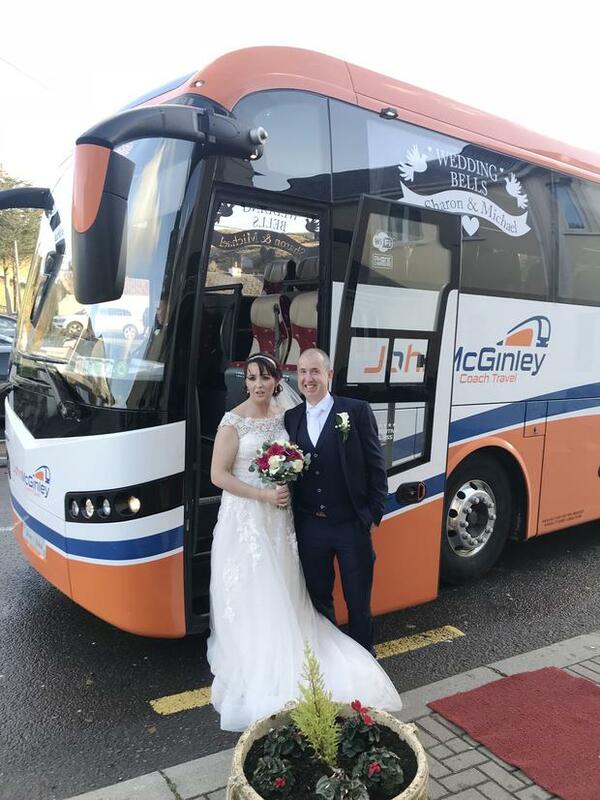 Sharon Gallagher who drove herself ot her wedding in a McGinley's coach. Sharon Gallagher is a driver for McGinley Coach Travel in Co Donegal. And when it came to choosing a wedding car, there was only one form of transport she wanted - her 53-seater coach. Sharon first drove her family and bridesmaids to Christ the King Church in the Gaeltacht village of Gortahork. 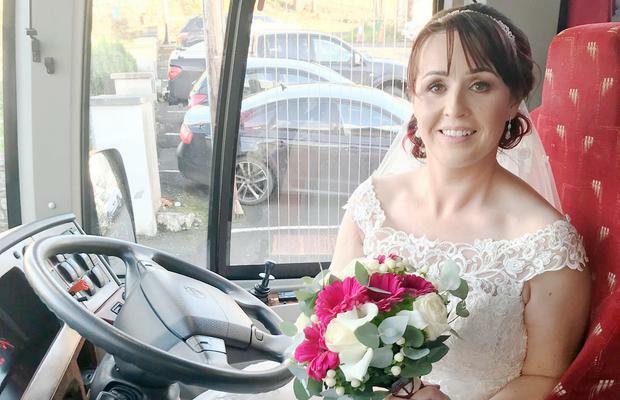 After the wedding Mass she got behind the wheel again and drove her new husband Michael Leonard from Pettigo to meet their 400 guests at the Loch Altan Hotel. Colleagues even decorated the front of the bus for Sharon and Michael with the legend Wedding Bells across the windscreen. James McGinley of John McGinley Coach Travel said Sharon is "buses mad". "She came to me a while back and said she wanted to drive one of the buses to her wedding," he said. "Sharon is buses mad and I suppose it makes sense. Most brides want fancy wedding cars but not Sharon. She wanted a bit of fun and something to remember her wedding day by and she has certainly done that."